Running a proper online learning business is more than just posting some course videos on YouTube. You need a complete learning management system (LMS) that packs functionality specific to online learning. An LMS allows you to create, organize, and manage your online courses and share them with your students. One of the best plugins in this space is LifterLMS. The core plugin is available free for downloading in the WordPress Plugin Directory and you can install its premium add-ons to get access to advanced features. With this in mind, in this post, we’ll explore the standout features on offer with LifterLMS and take a look at the different things you can do with it. We’ll also cover its pricing and help you decide if it’s right for you. As we briefly mentioned above, you can get the core plugin for free from the WordPress Plugin Directory and use its basic features right out of the box. And when you’re ready to kick things up a notch, you can purchase any of its individual premium add-ons or add-on bundles. Badges and Certificates. LifterLMS comes with badges and certificates from the get-go. This allows you to actively engage your students and offer them incentives for completing your course. And once they’ve earned a badge or certificate, they can share their accomplishments with friends and family on social media platforms. Data Tracking. The data analytics feature helps you track both your course’s metrics and your students’ progress. In addition to this, you’re also able to monitor sales trends. On top of this you can access complete information about refunds, membership orders, and much more. Content Dripping. LifterLMS’s content dripping feature lets you schedule parts of your course content to be delivered to students as they reach some pre-specified milestone. You can add pre-requisites (such as send Part A upon subscription or based on the progress bar) to automate it. E-Commerce. LifterLMS fully supports e-commerce functionality right out of the box. You can pair it with PayPal, Stripe, or Authorize.Net payment gateways and even sell your online course through WooCommerce. This easy integration saves you from having to hire a developer to set up a third-party e-commerce platform on your website. LifterLMS plugin lets you set membership levels for teachers and students and manage them directly from the dashboard. Student Profile. Allows you to view full student profiles at a glance. Each profile stores information about the student’s accomplishments, current courses, badges, and certificates. In addition, the front-end login area lets users access the course site without going through the WordPress login page. LifterLMS allows you to customize your website using its built-in widgets and shortcodes. Those of you who have been using WordPress for some time will be familiar with its customization options. For instance, the plugin comes with a progress bar that you can post on your website to help students keep track of where they are throughout the course. LifterLMS allows you to customize the progress bar’s color, pattern, animation effects, and much more by using shortcodes and parameters. Shortcodes also let you post your courses anywhere on your website, personalize its user interface, collect statistics, and track students’ progress. In addition, you can choose any of the built-in themes LifterLMS comes with to increase your site’s visual appeal and personalize it to your liking. 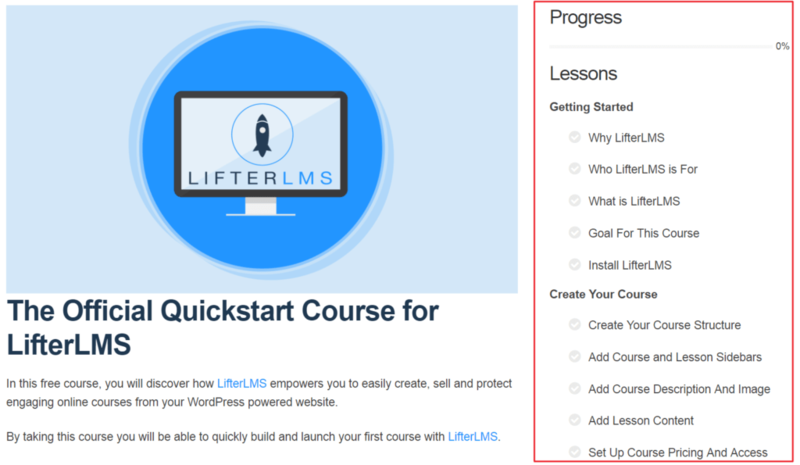 Getting started with LifterLMS is incredibly easy – even if you’re not particularly technically inclined. It features an intuitive, drag and drop user interface which makes it easy to create courses and organize them however you’d like. 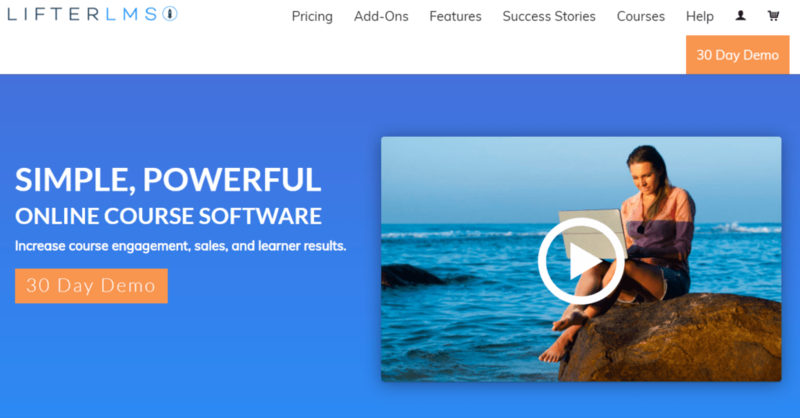 Overall, LifterLMS’s learning curve is pretty low and it’s easy for first-time users to set up and launch their online course. The LifterLMS plugin is fully mobile-responsive which allows you to deliver a seamless learning experience to your student’s. Regardless of what device they use, your online course will always be easily accessible to them. Another key benefit of a mobile-responsive LMS is that your students are able to access course material from their smartphone or tablet devices while they’re on the go. This makes it easy to consume content on daily commutes, running errands, or while travelling. 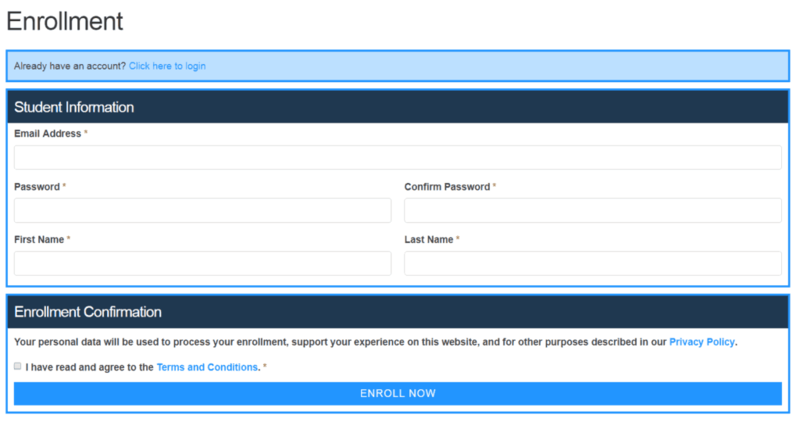 Let’s take a look at what your student’s will see once you’ve set up and configured your online course using LifterLMS. When a student selects a course they’re interested in signing up for, they’ll be able to read through its basic information. This includes the course’s title, description, media (featured image or video), course information (estimated time and categories), and course instructor. From the sidebar, they’ll be able to view the progress bar and get a quick, high-level look at the different lessons you’ll cover in the course. For example, in the screenshot above, you can see that the lessons are divided into different categories i.e. Getting Started and Create Your Course. The plugin also displays neat, notification-style achievement message once the student completes a lesson or a section. You can download the core LifterLMS plugin for free directly from the WordPress Plugin Directory. The premium add-ons for LifterLMS are available in the LifterLMS store. Each add-on is priced differently. You can purchase the Personal license (for use on one website) or a Developer license (for use on 5 websites). For example, the PayPal add-on will cost you $99 for one website, and for five websites you’ll have to pay $299. You have the option to purchase add-ons individually or buy one of the two add-on bundles. Let’s take a look at the different options available to you. The Universe Bundle will run you $299 per year in case you are using the plugin on only one site. If you want to use it on up to five sites, it will cost you a total of $499 per year. LifterLMS offers support to its customers through a ticketing system. You can login to your account and submit a ticket with your query. In addition to this, there’s also a knowledge base that contains documentation, FAQs, a glossary, and other helpful resources that you can use if you’d like to take the DIY approach. Is LifterLMS Right for You? 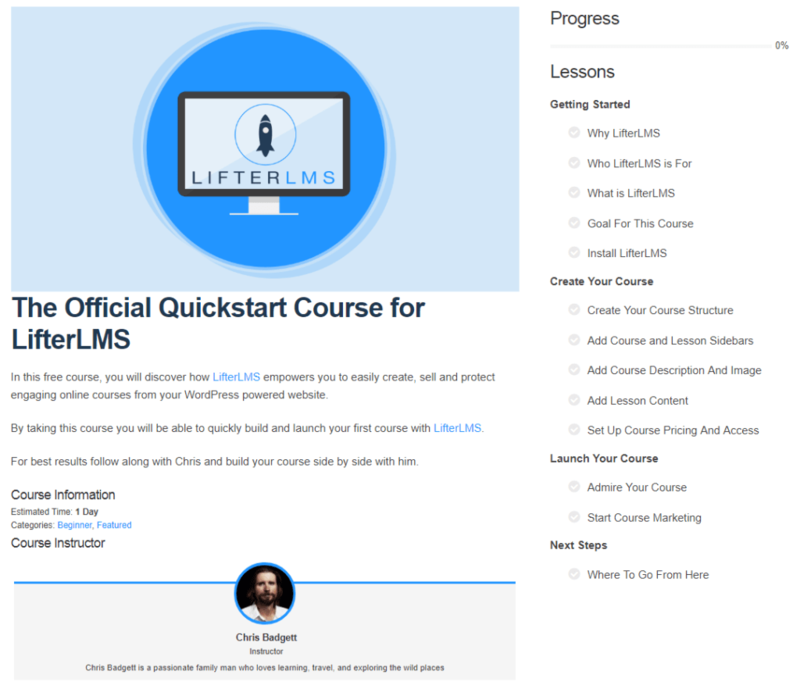 If you’re looking for a simple LMS to help you create your first online course or set up a training program that you’d like to offer for free, LifterLMS is definitely worth trying out. The core plugin is available for free so you’re able to take it for a spin without having to spend any money. 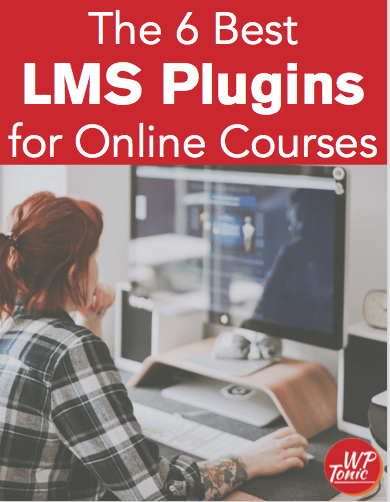 However, if you’re looking to sell your online courses then you’re going to need to purchase LifterLMSs’ add-ons (or one of the premium add-on bundles) to get access to the payment gateways. LifterLMS is one of the best, freemium LMS solutions available for WordPress users. It allows you to deliver an engaging learning experience to your students while making it easy for you to create and manage your course offering. Since the core plugin is available free for download, we encourage you to try it out on your own and see if it fits your needs. And once you’re ready to take things to the next level, you can purchase any of its premium add-ons to get access to advanced functionality. 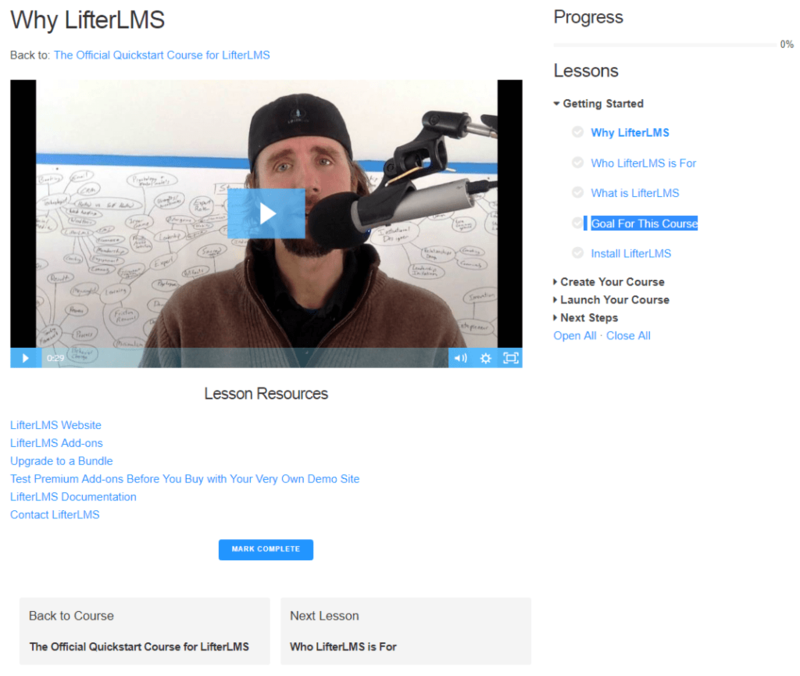 Have you used LifterLMS to build your online course site? We’d love to hear about your experience so let us know by commenting below.